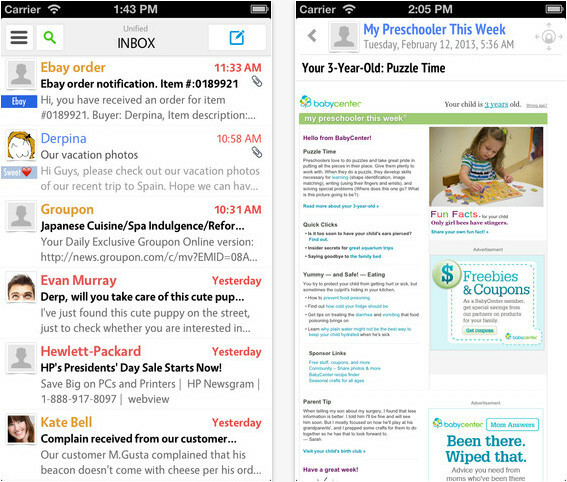 HotmailBuzzr (iPhone/iPad) - An excellent app for multiple hotmail/live accounts ~ Android Forever! Developer Quote: "Get the best of Hotmail with HotmailBuzzr! Multiple Hotmail accounts with customizable push notifications." Although Hotmail accounts were kind of lame, like the word lame is now, they're staging a comeback since Microsoft upped its game with Outlook.com. Also, Live accounts are available so you can even avoid the Hotmail stigma if you want to! This app is great to use for multiple accounts, so check it out! Add multiple Hotmail accounts to HotmailBuzzr, you can easily switch between one account to another account easily with just a single click. Or you can read all messages in a unified inbox. 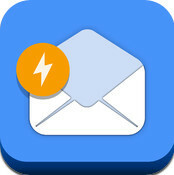 Filter your messages by sender, recipients, subject, or message. Assign label, set custom sound, color, and importancy level to it. And with its unique labeling feature you can easily distinguish your important messages from the list. Set importancy level to your messages, the lowest level will give you only subtle vibrate when the message arrive. while the highest level will keep alerting you until the message is read. You will definitely not miss important emails any more! We carefully designed every element of HotmailBuzzr to give you the best user interface imaginable. Everything is accessible in one main screen yet we still maintain its cleanliness and usability. You will definitely love it once you use it! We know you do not want to get disturbed during specific time. You just need to set a quiet time period and HotmailBuzzr will not notify you during that time. Preview Word, Excel, PowerPoint, PDF documents, and other popular file formats directly from the app. And they are all optimized for mobile viewing. - Color coded accounts and labels for easy reading.